Media FHE HEi-think: Keeping the plates spinning in HE -- who'd be a Registrar? 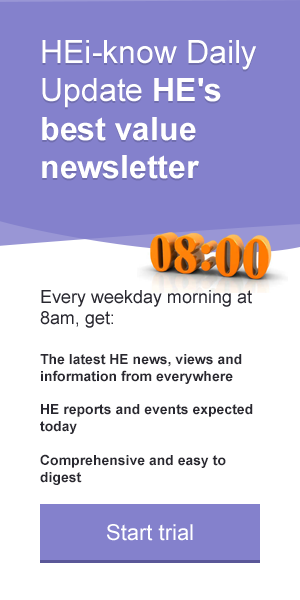 You are here: Home > HEi Know > HEi News > HEi-think: Keeping the plates spinning in HE -- who'd be a Registrar? After working on the schools’ side of our education technology business for many years, and having previously worked as a Deputy Headteacher, I had the great pleasure of broadening my role in 2018 giving me the opportunity to understand the Higher Education landscape in more detail. In seeking to better understand modern universities and those that work in them, I have been reflecting on the university staff I met at events and conferences last year, and their broad range of roles - CIO, CTO, Admissions Officer, Business Analyst and so on. However, the one role that fascinates me most is Registrar. I think this is because it seems the perfect mix opportunity to really shape and guide the direction of the institution, coupled with the challenge of working with multiple stakeholders, across many functions – all done to support the whole university deliver better outcomes and experience for the students and staff. And, what a range of responsibilities they have and jobs they must get done! A report I read from AHUA summarised the role of the Registrar based on feedback from over 80 individuals and listed over 25 key areas of responsibility including governance, data protection, academic administration, risk and admissions. This wide range of responsibilities often results in Registrars having very different job titles for what are broadly similar roles – something that I initially found very alien. After all, everyone knows what the roles of Head Teacher and Deputy Headteacher are in schools. I have come to understand that ‘Registrar’, ‘Chief Operating Officer’, ‘Secretary to the Court’, ‘Director of Administration’ and ‘Vice Provost’ all mean essentially the same thing – the AHUA report lists 18 different titles for this type of senior leadership role in universities. Someone did ask this (and other) questions to a group of 1,400 Canadian students, who, it turns out were a little better informed than my own children – with a good number of them (nearly 70 per cent) listing them as being responsible for school records amongst other things. Which brings me back to my developing my interest in higher education and trying to distil some of the challenges and opportunities for Registrars into one place and seeking to understand if and how technology can help. Last year, working in partnership with MediaFHE we spoke to several Registrars and collected their thoughts in a white paper, entitled Rise of the Data Driven University. In the document, the Registrars we spoke to share their views on common challenges - delivering great student experience, widening participation, a changing regulatory landscape (OfS Data Strategy and Data Futures anyone!?) and increasing competition to name a few. There are lots of choice quotes and great insight that I could share here, but my advice would be to download the full white paper yourself. With a focus on the pressure on Registrars to deliver higher impact, sooner, at their institutions and considering how technology solutions can help respond to some of the challenges listed and support the improvement of the TEF, REF and NSS you will find it an interesting read. At the start of 2019 I’m looking forward to getting even closer to what is happening in Higher Education and not feeling like such a newbie! With visits to three universities already in the calendar to meet the Registrar along with some of their team, and the Data Matters conference kicking off the year, I’m excited about working with our clients and potential customers to help them meet some of the challenges they face. Graham Cooper is Head of Education at Capita Education Software Solutions. Prior to joining Capita, Graham spent 13 years in teaching. You can follow him on Twitter @G_Cooper.